If you don’t need regular cleaning of your home or commercial property, you can use our services to have them sanitised one off. Our spring cleaning services are perfect for making your rooms flawless and cleaning the clutter from them. They will ensure the necessary hygiene in your home and working place. Our staff will arrive whenever you require, supplied with the necessary machines and detergents for work. Use our services to receive the thorough and qualitative spring cleaning which we offer in Balham SW12 and the nearby areas. Our staff will take care of the cleanliness of your rooms using the most effective and advanced machines and detergents. They will scrub inside and out all kitchen appliances, remove the dust from the shelves, drawers, cabinets, clean and disinfect the worktop. Our cleaners will vacuum clean and mop the floors, wipe the dust from the light fittings, doors, windows, ledges. They will sanitise the audio, video and IT appliances, disinfect the bathroom and toilet. Our staff will remove the lime-scale from the tiles, scrub the mirrors, showers, washbasins. All rooms and areas in your house and business property will be sparking clean, after they sanitise them. 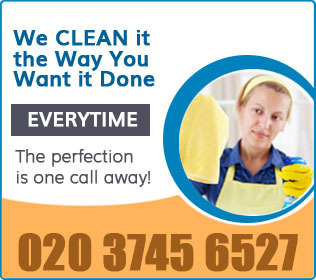 The spring cleaning which we provide in Balham SW12 is available every day. We work at the weekends and on bank holidays too. Get in touch with us any time when you need one off deep cleaning. It will be implemented at a suitable for both you and us day and time. Using our deep cleaning services is a great way to ensure the hygienic condition of your rooms. You can call us whenever they start to get messy and cluttered so, we can send our staff to your address as fast as possible. We use effective machines and cleaning products which won’t cause your family or pets health problems. Our spring cleaning services are at your disposal in SW12 Balham every day in the week.